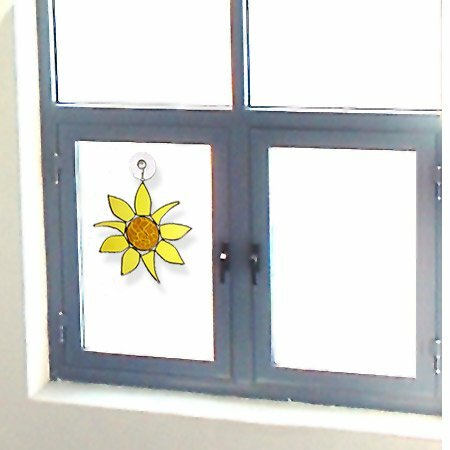 Contemporary sun catchers add instant color and cheer to any room! 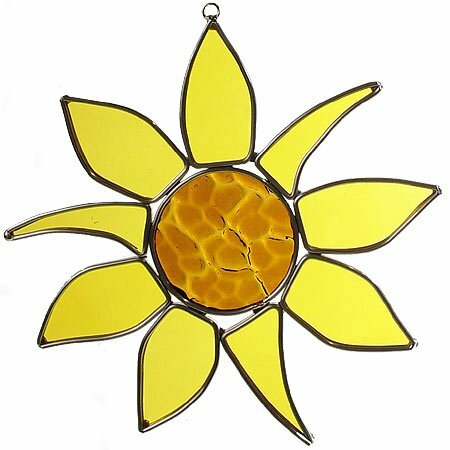 Handcrafted in the USA, this fun yellow sunflower features colorful textured art glass framed with sturdy lead-free metal. 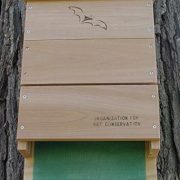 Each sun catcher includes an optional suction cup hanger that attaches to any window or glass surface (but may also be hung with wire to decorate other areas).